Our DonJoy Performance Bionic Knee Brace features support and protection from lateral forces that occur in everyday sport and activity. The Hex shaped Patella opening provides Patella support and stability while articulating more freely as the knee goes through flexion and extension. Asymmetrical hem lines and stretch webbing closure system ensure the proper fit for comfort and controllable compression. The wrap around design of this knee brace allows for quick, easy on/off without the need to remove shoes. Our bilateral polycentric hinges with hyperextension stops are sure to keep unstable, ligament damaged and sprained knees from getting in the way of performance. 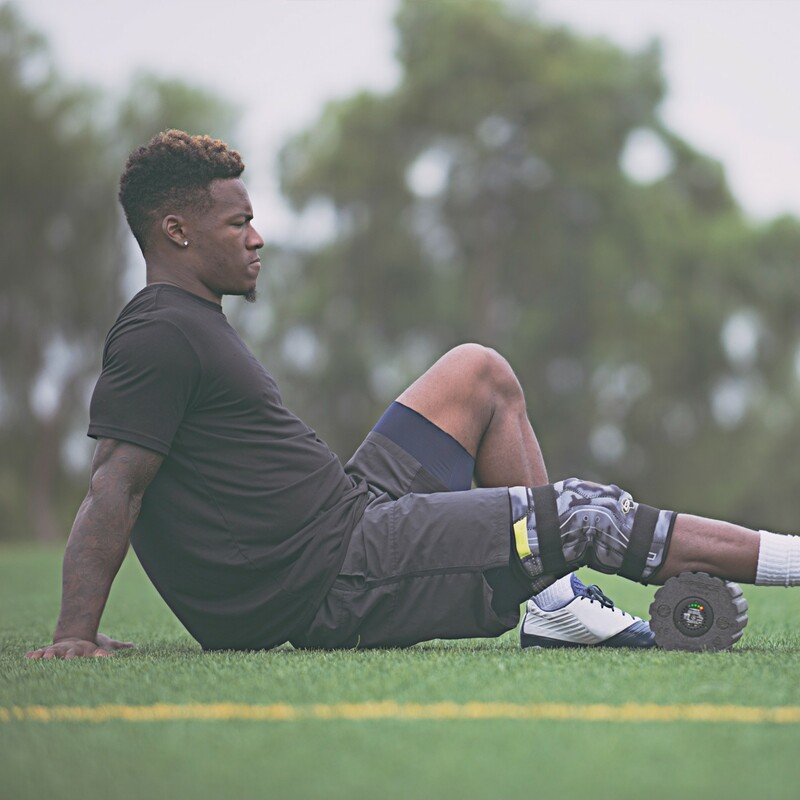 The DonJoyPerformance Bionic Knee, would offer you both the stability and flexibility needed as a goalie. How washable is the knee brace for every day wear. You can hand wash this brace in a mild detergent and lay flat to dry. 1. Can the bionic knee brace be used while surfing? 2. Can it be worn underneath a wetsuit, or will it be better on the outside of the suit? 3. I saw a video where it looked like the leg with this brace on could not bend that much - I need to be able to go from standing to a crouch - will this brace allow this much range? 4. If appropriate for watersports, how would I clean this brace? Yes, the Bionic Knee brace can be worn while surfing or during other water sports. You will just need to rinse with clean water and let air dry afterwards. You can wear this brace either on the outside of a wetsuit or inside- whichever is more comfortable for you. The brace will allow you to bench, while keeping your knee out of the "at risk" position. Clean this brace with clean water and hang to dry. What is the CPT for this brace? To put on a referral to dispense in office? Thank you for contacting Don Joy Performance. The Bionic knee brace does not have a CPT code as it is a consumer item. I have a torn MCL. I need a brace with a rigid hinge and stiff metal side bars, not just semi-flexible plastic side bars. Will the Bionic Knee Brace serve this purpose? 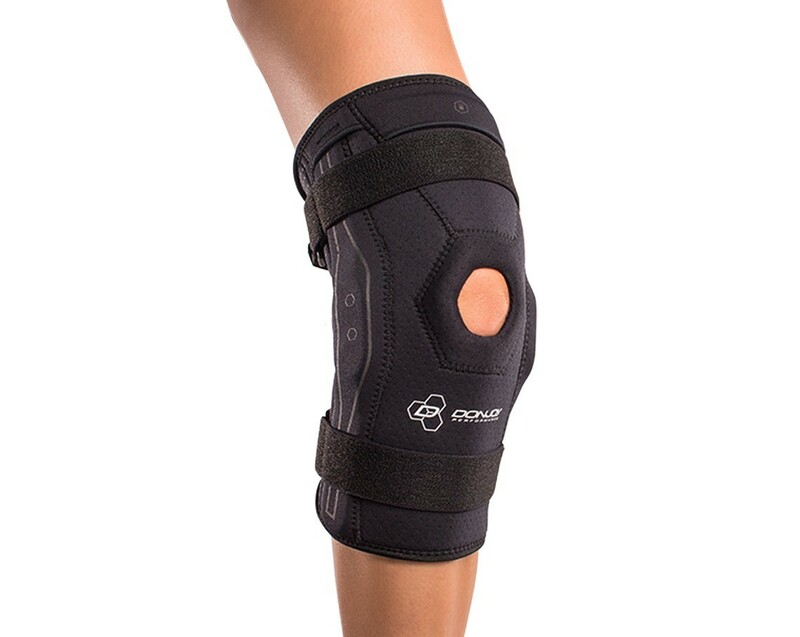 Are the side bars and hinges similar to those in the conventional Hinged Knee brace offered through doctor's office? I need to avoid valgus loads on my knee during normal daily activities. I won't be playing sports until injury is fully healed. Yes, the Bionic Knee Brace has dual rigid aluminum hinges that provide medial/lateral support and protection. Can this brace be used while cycling? Yes you can wear the Bionic Knee while cycling. I injured my knee area last year during college rugby, and my patella and overall knee in general has been a little unstable ever since. Would this be a good brace for that? Yes, the Bionic Knee Brace provides maximum support for MCL/LCL instabilities, hyperextension, and general meniscus support. I have osteoarthritis in both knees, one moderate/severe, the other mild. I have been using Juzo braces to play tennis, but find them very tight, restrictive and almost impossible to take off when wet. 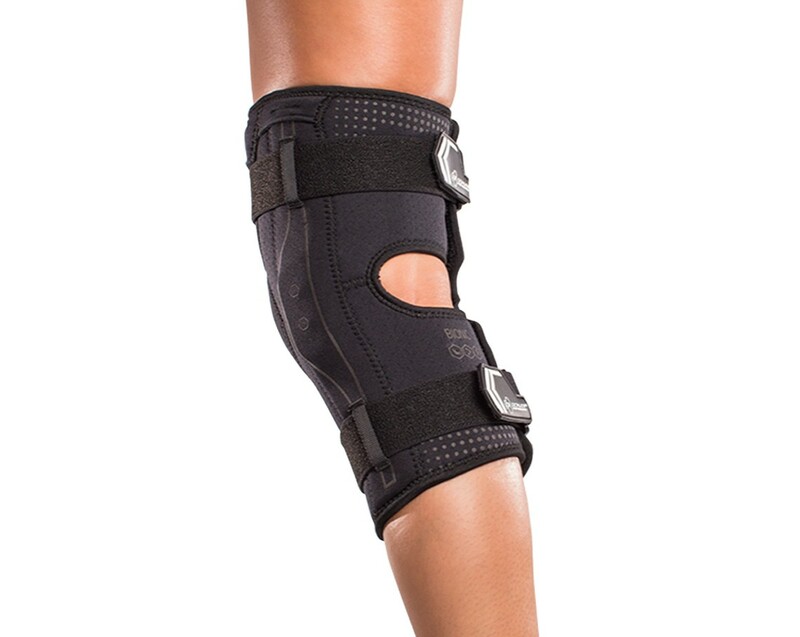 Would this brace be suitable for a senior woman who plays tennis 2/3 times a week and has medial pain in both knees? I am looking for a light but supportive brace which can be easily pulled on and off. Thanks. Is this brace waterproof? I have lingering pain in my knee from a previous injury, so I'm looking for something I can slip over my wetsuit while kite surfing. Yes, you can wear this brace in the water. Make sure to rinse the brace with fresh clean water after and air dry. I play tennis 2+ times per wee and have issues with knee. Dr suspects lcl or mcl. What brace would you suggest for use during matches? The Bionic Knee Brace is a good brace to protect the LCL and the MCL while moving laterally in tennis. Additionally, the hinges are covered in material which some sports require if worn during play. I have had two meniscectomy surgeries to my right medial meniscus. Would you recommend this Bionic brace, the Webtech, or the Reaction? Yes the Bionic Knee Brace will help provide support after your meniscectomy. 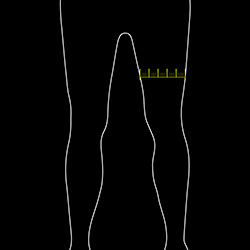 The bilateral hinges will provide support to the knee medially and laterally and prevent hyperextention. 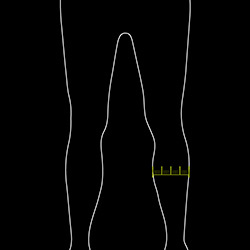 The Bionic Knee Brace would offer good support for the PCL as it has bilateral hinges and should not limit activities. I'm recovering from an ACL/meniscus surgery (soon to be cleared for playing)and I would like to know which brace would be the best choice? I need something that will provide me protection but that won't limit my movement too much. 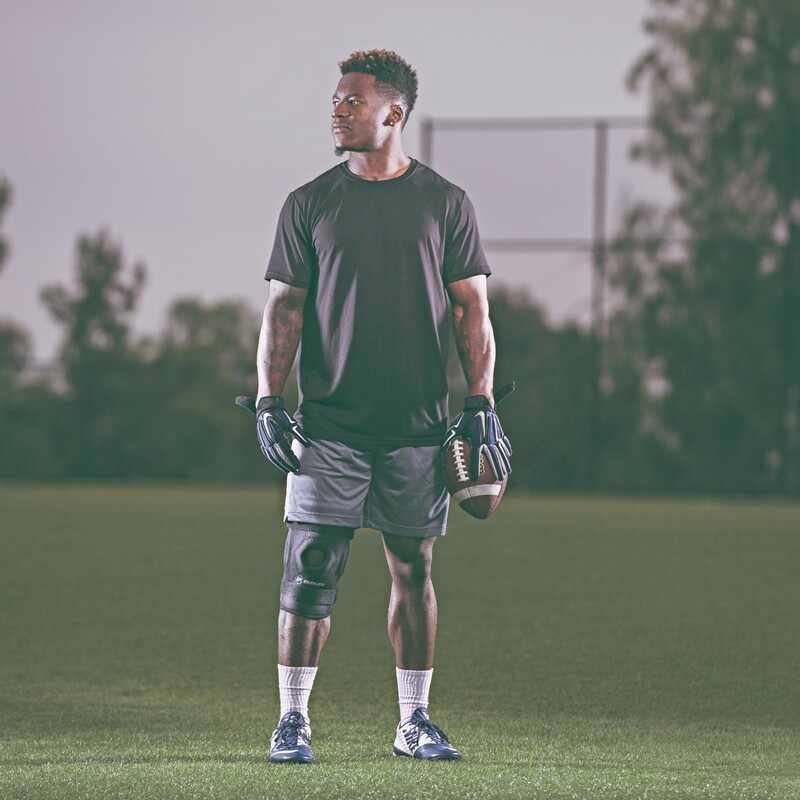 The DonJoy Performance Bionic Knee Brace will not offer the ACL support you need after surgery, you may want to consider the DonJoy Performance Bionic Full Stop Brace, https://www.betterbraces.com/donjoy-performance-bionic-fullstop-knee-brace , which should still allow the movement you are looking for. I'm a teenager with a rare knee condition called osteochondritis dissecan (ocd knee lesion). It isn't widely known about and I've had multiple surgeries with none fixing it. Would this brace help relieve some of the pain? The DonJoy Bionic Knee Brace would help if you are also looking for stability and extra support, otherwise a DonJoy Reaction Web would provide the Patella stabilization needed for osteochondritis dissecan. My father had polio as a child and was told he would never walk. Well he beat the odds and has walked my entire life and I'm 47. He is an amazing person but lately his knee gives out and causes him to fall. He is now 74 and wears a run of the mill Wal-Mart brace. One of the problems is the polio causes all muscle in the right leg to atrophy; from the hip to the calf so fitment may be an issue. Could you recommend a brace that would adjust (sorry no measurements right now but his leg is very small in circumference) and assist in stopping his knee from giving away? Hi, I am volleyball player, in January i torn my cruciate ligament (ACL). My stability is good and i am able to carry on without surgery. I am still busy with rebuilding all the muscles in the injured knee. I I am looking for an ACL brace that will help me to get back to play volleyball again ( I need sport brace) as well as help me to gain the confidence and allow me to play volleyball at the same levels. Is this brace suitable for this type of injury? It will help prevent further injury to the knee. 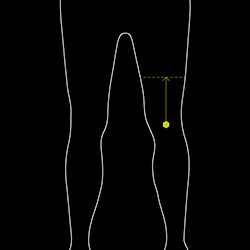 The fourcepoint hinges train your knee to stay out of the "at risk" position for the ACL. 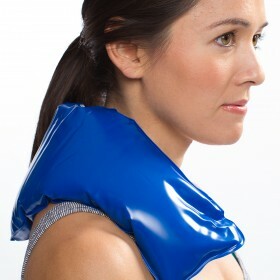 This will also help to prevent a more serious injury. I have the next messurments, what size of BIONIC KNEE BRACE should I buy. I play roller derby, I have had MCL injuries in both knees. 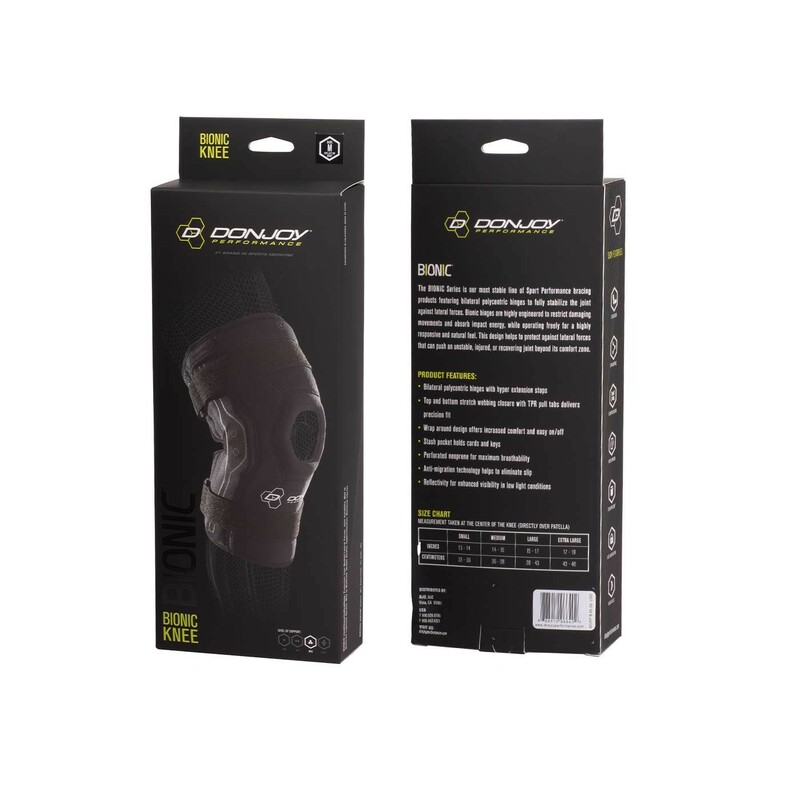 I am looking for a brace that will fit comfortably under the required knee pads for my sport, while providing the most protection. Is the bionic knee brace the best choice? The Bionic Knee Brace will provide support to your medial and lateral ligaments and is a great option for an MCL injury. As long as your knee pads are either wrap-around or stretchy they should fit on top of the Bionic knee brace. I have an MCL sprain on both my knees. Would this be the best brace for me to train & run in during my marathons? I wear the Don Joy armor knee brace for my torn ACL. And it slips and slides and is very un comfortable. Would this be good to wear for more comfort? im looking for my best option for a contact sport knee brace that has overall ligament protection for my sons right knee. he is a yr out of ACL surgery on his left knee and uses your Armor brace as prescribed from the surgeon. we are looking at the bionic and the bionic full stop braces, lacrosse season starts and we want to do what we can to prevent another injury. The brace he is currently wearing, the Don Joy Armor is the best brace for him to wear during athletic competition to protect the ACL and prevent another injury. 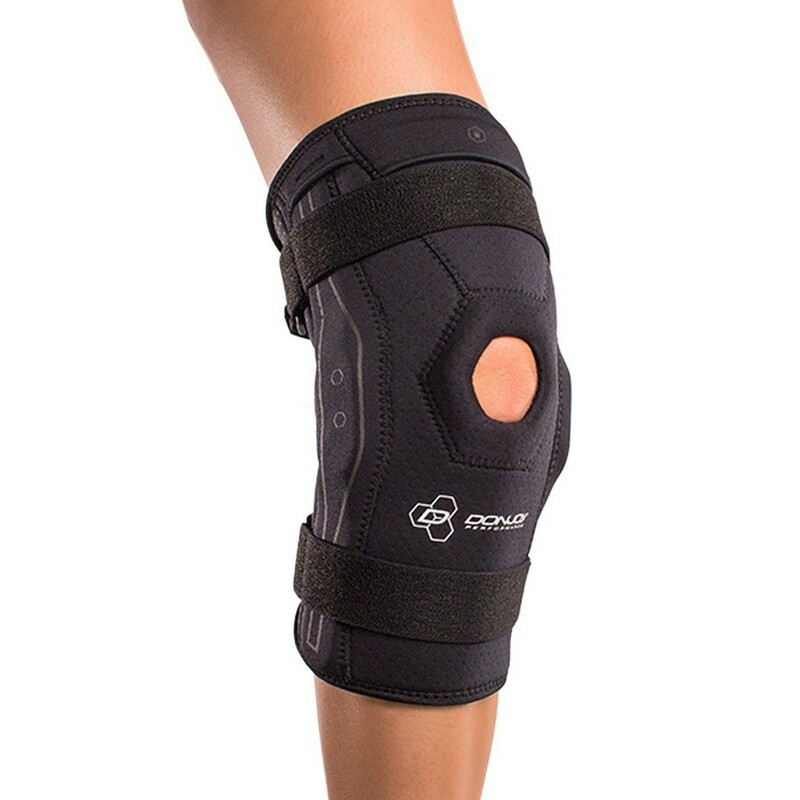 I play basketball and run marathons I just had a meniscus tear and chipped cartilage on my right knee surgery was done and now I'm looking for a knee brace for support and to help ease the pain and swelling would this be the right knee brace? "Bilateral polycentric hinges". What are these made from please? I have to pass through metal detectors where I work. I wear a knee brace every day (metal stabilizers removed) because of all the walking I have to do. A quality brace that doesn't trip the detectors would be much more effective. I play rugby, and the knee brace regulations are pretty strict. Does this brace have metal supports? I purchased the bionic knee brace and it works great. I threw away the box and was wondering if there were any washing instructions. i have a discoid meniscus and will be skiing in February and I'm wondering if this is the best brace to keep my knee stable? If not which one would you recommend? My knee pops out of joint from time and locks up. I had a total knee replacement on my left knee 4 weeks ago when I am weight bearing on my leg I present with genu valgum when I'm weight bearing (walking) ..placing stress on my MCL. I need a brace to counter the valgus moment. I want a brace that I can wear daily all day and will be comfortable. What would you recommend? The Bionic Knee Brace will provide stability for the MCL since it has hinges on both the medial and lateral sides of the brace. I had a complete right knee replacement last January and I have got a complication called complex regional pain syndrum which results in severe pain and stifnes in my knee I am attending pain management at the moment.The knee surgery was itself successful. The Webtech Knee Brace is a great brace for those who have anterior knee pain especially going up and down stairs. The webbing design absorbs forces on the knee and disperses them away so you have less pain. This might be a good brace to try. I tore my MCL a little over a year ago playing volleyball and have started working out again. However, I am nervous to start playing sports again because I have had my knee slip medially a few times during activity. Will this brace help stabalize my knee for sports? The bionic Knee brace offers general knee stability especially with side to side movement and twisting. If your kneecap "popped out" of dislocated you may want to take a look at the Webtech knee brace to prevent this from happening again. 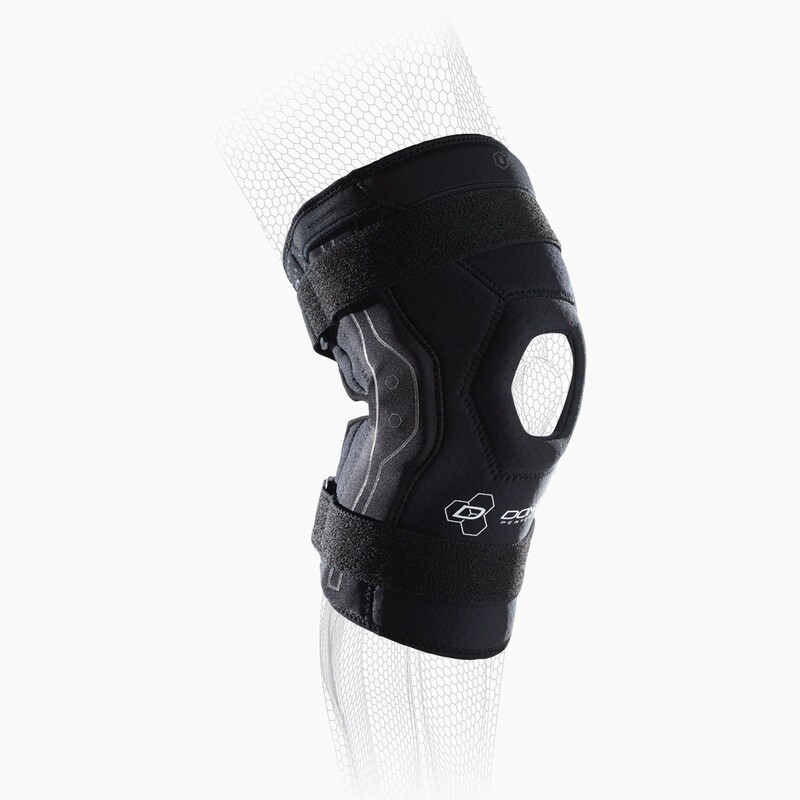 The Webtech Knee brace will help keep the kneecap stay in the correct position. I am 4 months post op from a lateral meniscus tear/surgery. While I don't see myself using this for lifting, I do see it being useful for soccer. I am going through PT still to improve strength, mobility, and endurance, do you believe this or the webtech would be better? 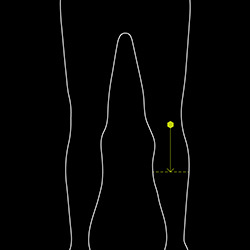 My major issue is my patella does not move much, causing pressure to build above and around it. If the problem you are having is around your patella, the Webtech Knee Brace would be a better choice for you. The Webtech will support the anterior knee and decrease anterior knee pain. My son has an impaction fracture of the tibial plateau. What is the best brace for this injury? He is a Quarterback and is still having pain when he drops back to pass and when he jogs. I've had surgery to repair an ACL tear, and I want a brace that I can wear for obstacle course racing (such as the Spartan). I currently use the Defiance III Custom brace for non mud run races, and the Armor (because it's less expensive than my custom brace) for the mud runs. The hinges are difficult to clean properly so I'm looking for more of a fabric brace for support. Is this a good choice? If you are not going to wear the rigid braces then the Playmaker or Playmaker II would be the next step down in bracing for you. I just purchased two trizone elbow braces and they seem large. My bicep is 13.5-14 at mid point, but the braces seem to cover a large part of my arm and the sleeve at the forearm seems loose. Based on your size chart I bought size large. They do not feel too tight or loose, but I was curious as to how they should fit and if perhaps my arms are maybe too short (the sleeve comes almost to my armpit). Thanks. The sleeves should provide compression around the arm but they do not need to be so tight as to be uncomfortable. The length of the sleeve does not differ based on size so a smaller size might just be too tight. im playing football and the doctor said thaa i might have kinda tore my ACL would this help stableize it so i can play still? 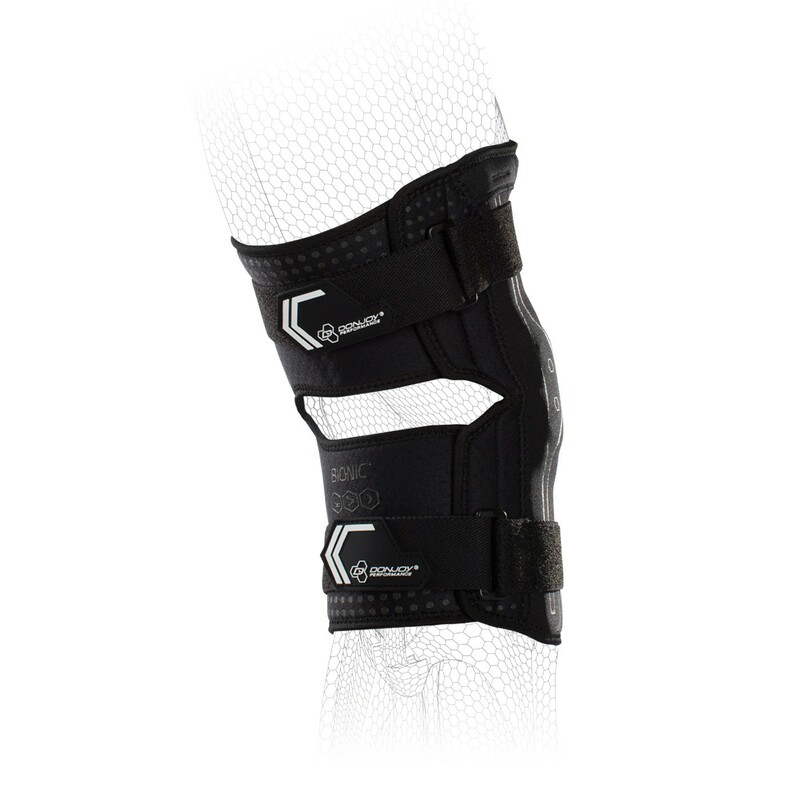 For football we recommend using the most rigid brace which is either the Custom Defiance or the Armor knee brace. If you are non-contact athlete you can use a brace that is a little more malleable like the Full-fource, Legend, SE4. Feel free to contact us with additional questions 888-405-3251. Would this be a good choice for me. I hurt my knee long jumping during track back in 2012. I sustained medial/lateral miniscus damage , chipped cartilage , and strained ligaments. Its only the inside of mt knee that ever gives me problems but its rare that it happens. An only happens when i try to run routes also swells up pretty instantly. Would this kind of brace be suggested ?. HELP! Thank you. I've had an ACL reconstruction and meniscus repair done would the bionic knee brace be OK for me to play basketball in? If your ,ACL reconstruction and meniscus repair was done within the year it would be best to go with a FullFource Ligament Knee Brace, http://www.betterbraces.com/donjoy-fullfource-ligament-knee-brace. If it has been over a year, a Playmaker II http://www.betterbraces.com/donjoy-playmaker-ii-knee-brace, would give you better support. I have had LCL, ACL, and PCL surgery and have been using the reconstruction brace and am looking for the next phase of braces to play soccer in. Is this something that could be of use to me? The Bionic Knee would be a more mild level of support, and might not offer the protection you are looking for. 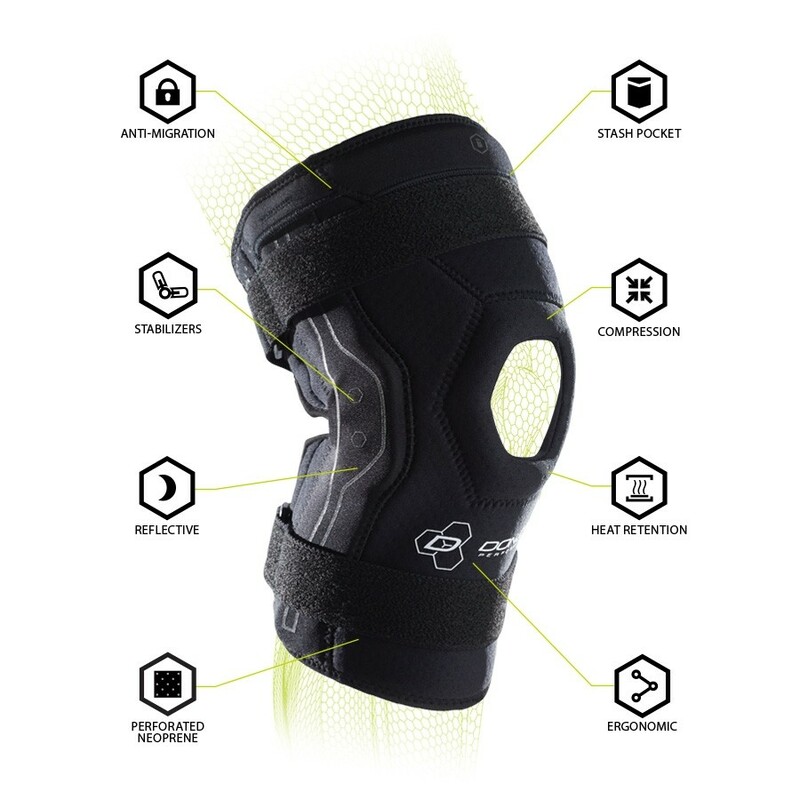 If you are coming from a rigid brace and want to step down then I would suggest the DonJoy Playmaker II Knee Brace. It will provide better support and protection, and is great for sports like soccer. I bought this after reading a few reviews, plus just had meniscus repair/knee scoped. Last knee brace is not helping that I received from orthopedic. Pros: Very comfortable, keeps knee in neutral position, like the opening in back of brace as it does not rub as other braces. Great support brace for the cost! Gives great support and relief to stress on knee. Helps with swelling after being on all day working. Injured while assisting disabled Mom while transferring. Had tried other inexpensive sleeves and wraps but not enough support and wouldn't stay in place. Pros: Use this brace for redial meniscus tear-not confirmed by medical personnel yet. Light weight and comfortable to the point I don’t realize it is there! Helps knee feel great to the point I don’t use it long enough to heal fully. Have had Bionic brace for close to a year. Cons: I have problems with correct positioning after connecting velcro. Velcro doesn’t always stay in position causing some irritation to skin. I bought this brace to help me with my sprained ACL and MCL, plus a torn meniscus, it helps me a lot. I bought the brace back in September and I wear it most days. I'm also on the rugby team, and it helps support my knee when I run. Cons: The bottom hinge is hanging on by a thread right now. Great knee brace! Very comfortable and supportive. Tore my ACL near the end of Oct (Not a complete tear, but close) needed something to support my knee while driving a package-car and delivering for UPS over the holiday season. This fit under my uniform pants and provided adequate support without slowing me down. This brace made it through an entire peak season delivering packages for UPS, all my physical therepy and and even a few football practices (non-contact). It is starting to tear a little at the seam where the hinge is, but other than that looks and feels like new. I would recommend this brace! Pros: Fits under most pants. Comfortable. Adequate support. Stays in place most of the time. Cons: Fits a little loose around the knee (probably by design and because of the hinge) Does slide down a littlw from time to time, but not hard to re-adjust. Did tear at the seam, but only after HEAVY use. Ordered my first Donjoy brace 18 months ago -have worn out Meniscus and putting off knee replacement. I wear a Donjoy brace about 12 hours a day at work -up and down ladders and normal walking - before my brace my knee would swell up everyday and would have to ice it every evening. Makes even a simple task like walking the dog less painful. Thanks Donjoy for for a great product that actually works for me. I have a worn out Meniscus according to the MRI /Dr and in need of knee replacement. Pros: Easy fit and stabilizes my knee as promised. Cons: It can be a little warm if worn for long periods -but I wear Donjoy cool sleave under it and that helps. This brace has allowed me to get back on the tennis courts. Pros: It provides great stability and flexibility. Cons: Wish it was available in a lighter color. My knee becomes quite warm when playing tennis outside in 80 degree weather. I bought the brace because I had been having some knee issues, on of which was the feeling that was going to give out sideways whenever I stood up. The brace prevented this sensation fully. Pros: Very adjustable. Very robust. I really like that it is hinged. Great stability and helps a lot. Had it less than a month and there are already tears by the hinges and I've worn it only 15 times. I used older Walmart brace that i had bought for $40, and it was not as supportive. When i put on this new bionic brace and went out to play soccer with my friends they were surprised at my speed and stability. I played like never before with no injuries yet. Pros: Nice, does what it says would do. Very happy with this purchase.